Smith & Wesson Caliber Safety Glasses are a smart way to provide all-day comfort and protection, for both work and play. The minimal black frames hold smoke colored lenses (for outdoor or bright environments). 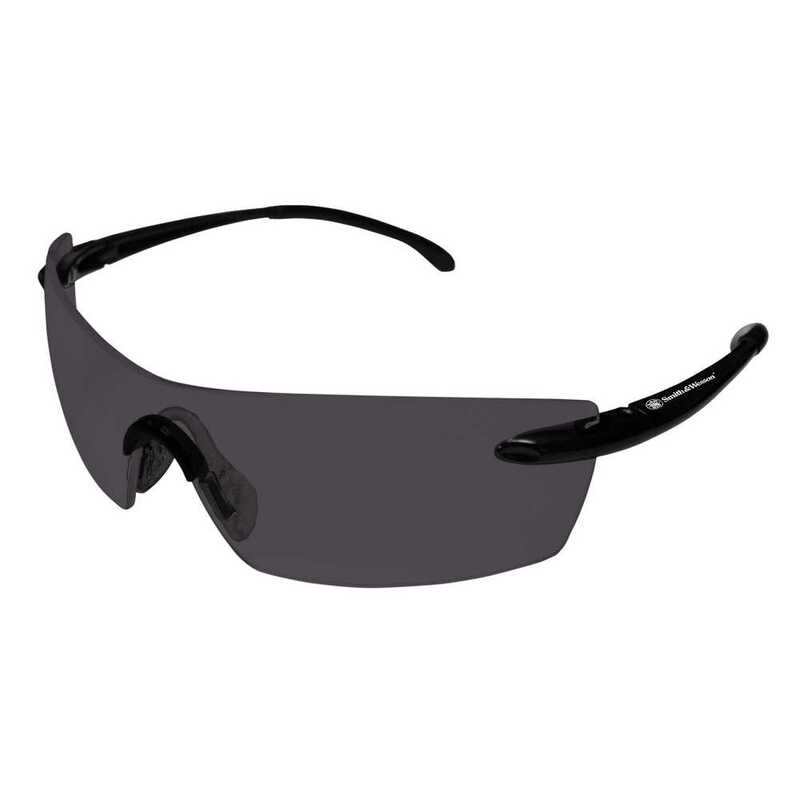 The safety sunglasses have a 7 base curve, an anti-fog coating and hinge stops to help prevent lens damage. They are built for comfort, with soft touch rubber temples and an ergonomic rubber nose pad with built-in airflow holes, which adjust to fit the shape of any nose. 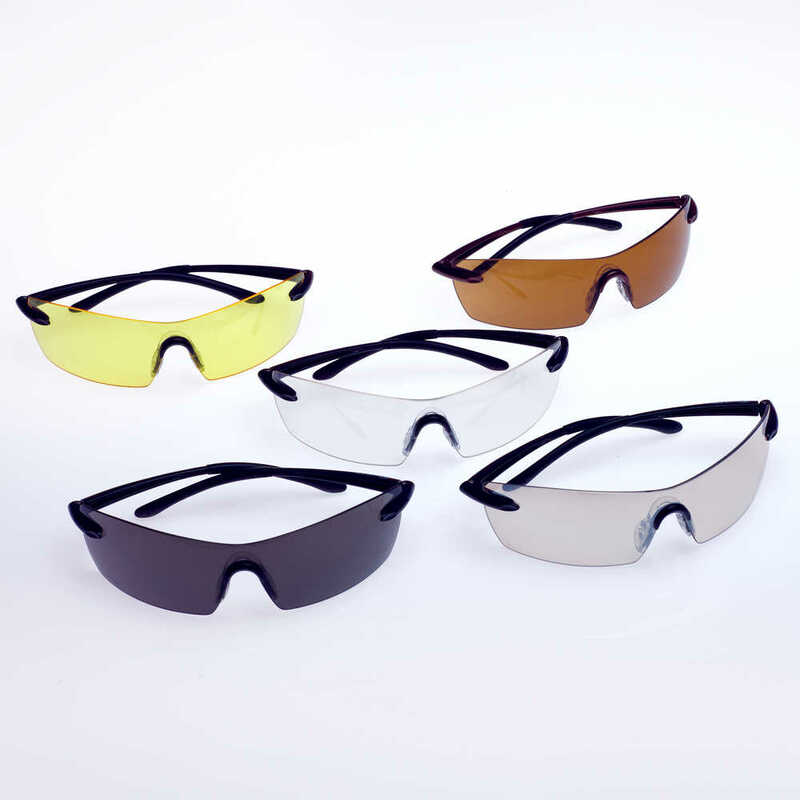 These glasses provide 99.9% UVA / UVB / UVC protection and meet both ANSI Z87.1+ standards for high impact. No matter where you’re using them, Smith & Wesson Caliber Safety Glasses help deliver the comfort and protection you need.